The loss or theft of a mobile phone is always trouble. Along with the phone, probably expensive, lost contact list of friends, photos and other personal information falls into the wrong hands. 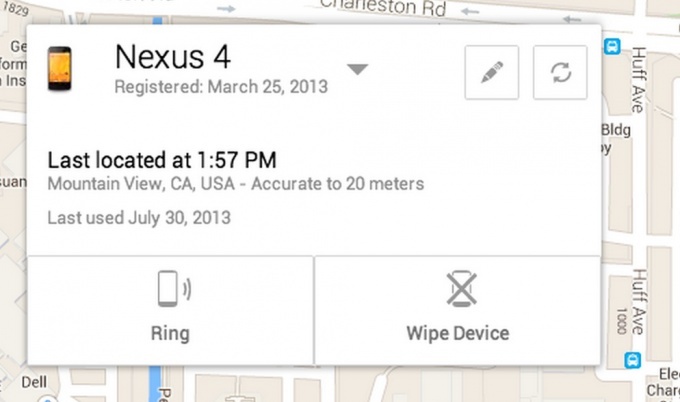 To find a lost phone, you first need to determine its location. A statement to the police about the loss or theft of mobile phone, IMEI (international mobile equipment identity). If you lose your phone, you should not immediately panic. Try to call him or send SMS. Maybe the phone would be somewhere nearby, and you hear the phone, to discover it. You may be able to contact the person who found the phone, and ask to return it for a reward or even just because. If your phone is unresponsive, you must write a statement to the police about the loss or theft of the phone and attach IMEI. IMEI is the international mobile equipment identity (International Mobile Equipment Identity), the majority of modern phones it is a 15-digit unique identification number, which is listed in the registration database of mobile devices and is programmed in the firmware of the phone. IMEI can be found on the box of the phone over the bar code under the battery. The statement also it is desirable to attach the box from the phone, receipt and warranty card. All this is necessary to confirm the fact that this mobile device belongs to you. 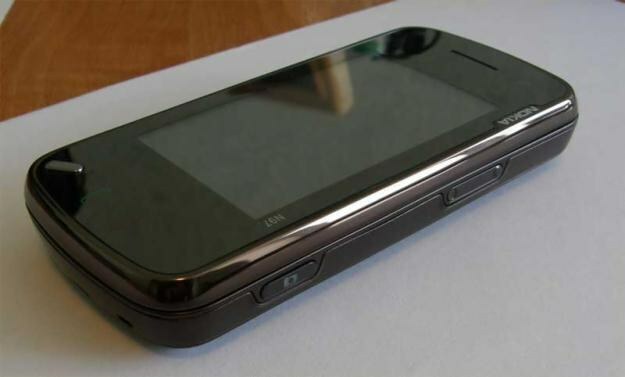 From MIA to the mobile operators should do a search of the location of the phone by IMEI. When you connect your mobile device to any network GSM IMEI is automatically sent to the mobile operators, and they have the technical ability to determine within which base station the phone with this IMEI and calculate its coordinates with a high degree of accuracy, even if it was replaced the SIM card. At the request of the police of any mobile operator is obliged to provide information on the location of your phone on a map, and a list of calls made from your phone if required. 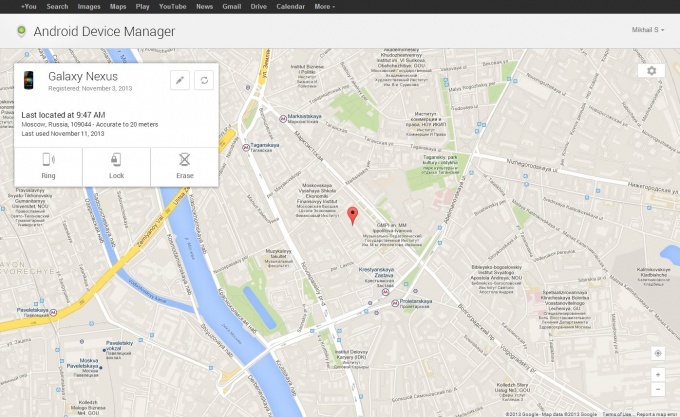 There is another way to track a lost phone — use the dedicated software which is widely spread in the network. According to the developers, some applications can lock the device, erase all the important information, to submit an alarming and a warning signal to kidnappers, e-mail phone number if it will be replaced with the SIM card. There are also many online services created, in particular, manufacturers of mobile equipment capable of using the GPS module of the phone determine its location and to indicate on the map. However, to ensure the accuracy of determining the coordinates of your lost mobile device using the data of electronic resources is impossible, and hope to get good performance specially installed applications. It should be noted that the tracking phone by IMEI is not always possible. An attacker who has stolen the phone can easily replace it with software, then phone IMEI will change too, and the ability to detect the phone finally disappear. Overall, only half of all lost and stolen phones was traced and found via IMEI. Mobile phone is a relatively new technology, however, is very deeply embedded in everyday life. Now hardly anyone goes out without him out of the house even for two minutes, what can I say about long journeys. However, because of its small size, it is often lost. Find a phone will help a few tips. If you are sure that the phone included, call him from a landline or another mobile phone. The sound is easy to identify where it is located. If the phone is turned off, unavailable, or set to silent mode and the alarm signal, start the search manually. Check first the places where usually put the phone: shelves, drawers, bags, backpacks. Remove everything, check the lining and the space around, then put the items back. Check all the pockets, especially things that have washed. Do not forget about the lining. Go to the places where I leave the phone rarely. 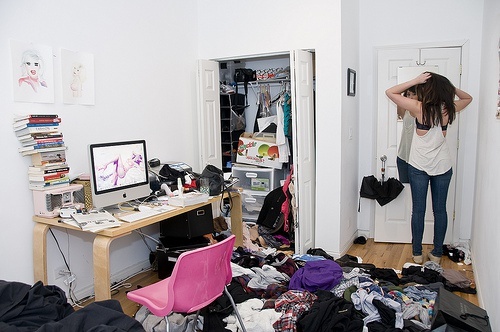 Similarly, remove everything from the drawer or off the shelf, check in and around, and then put one item back. Then exactly the same make where the phone could not be. Ease your mobile phone search, make it a habit to constantly put the phone in the same place to quickly find the right moment. Lost cell phone is always a pity, regardless of what was model new and expensive or old, but very comfortable. Some regret the loss of a mobile phone not as much phone as the information stored in it. Not every house has copies of pictures taken with cell phone and recorded on paper the phone numbers of friends. But sometimes a lost device can be returned, if the time to take measures for its search. Send your number an SMS with a request to return the phone for a fee. If the message is successfully delivered, then the cell is enabled. You can call him and discuss with the finding of the meeting and the amount of gratitude. This method often works if the lost phone is found decent people. Sometimes they try to get in touch with the owner of the phone, finding in your notebook contacts of relatives, so do not rush to block the SIM card. Even if the finder had been dishonest and are going to sell the discovery without the documents and the headset, they will not be able to get more than 50% of its real value. Thus, the size of your gratitude must not be less than this amount. Look in the documents the identification number of your phone (IMEI). He's usually listed on the box under the barcode, or on the warranty card. This room is a 15-digit number unique to each apparatus. He immediately sent to the network operator, as soon as the phone inserted SIM card. The operator can determine where to use your camera and to whom the registered phone number. This information is a secret, can provide it only upon request from law enforcement agencies. Therefore, the next step will be to contact the police. Write a statement about the missing phone. Attach a copy of the receipt, which shows the series and model number, and a copy of the warranty card with the identification number of the device. These documents will be proof that the missing phone really belongs to you. Unfortunately, the search for the missing mobile phone is a costly event, so the police don't always rush to solve the case. Alternative government structures are PSCs. Contact a Private Security Company. Many of them are successful in finding a lost or stolen phones. Within a couple of days after the treatment, they are associated with all cellular operators in the region and putting the IMEI, get information about who and when used your phone. Services are Private pay, but they are justified if you have an expensive phone. Look for yourself your phone in places where you are selling and buying cell phones. Perhaps the machine has not yet found a new owner. Therefore, upon presentation of documents proving that the phone belongs to you, you will be able to return it. How to find the phone if lost. For a start You have to assume the possible location of the lost mobile phone, or start looking virtually meaningless, especially if during the day You have been in dozens of places. If presumably could leave the phone in two or three places, it is desirable to send to each place in person to search took at the same time. One of the frequently asked questions in the service administration "how to find stolen phone by IMEI. We have already given advice on phone search by IMEI with the assistance of law enforcement agencies and mobile operator. Theoretically, to find stolen phone it is possible, however, in practice this is inefficient, takes a lot of the right time and often ineffective. Every day, dozens of people lose their cell phones. Someone becomes a victim of thieves, and someone just loses their phone. Find the missing cell is quite difficult, however, if you act quickly, the chances to recover the loss significantly increase. If you find that your cell phone is lost as soon as you can call it from another phone. 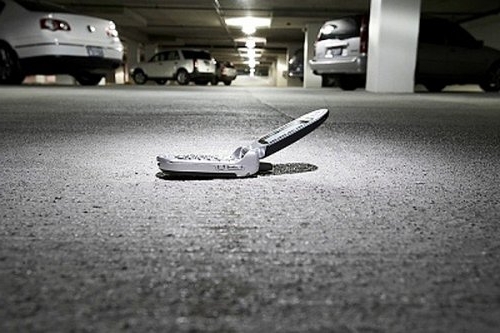 If the missing cell phone is somewhere nearby, you'll find it by the sound of the ringtone. If your phone someone found, then it is likely that the finder will answer your call and then you will be able to negotiate with him about the recovery of your lost phone. It is much harder to find a missing cell phone, if the person who found him decided to give the phone itself, or if you become a victim of robbers. In this case the phone will probably be taken out the SIM card, so attempts to call him to anything will not lead. If you find yourself in this situation, without wasting time, contact the police. The police write a statement about the missing cell phone. If you know the IMEI of the phone, be sure to specify it.IMEI number is international mobile equipment identity assigned to the phone during its manufacture. IMEI is fifteen digits and remains unchanged regardless of which SIM card is currently on the cell phone. Therefore, knowing your IMEI, using a special technology it is possible to calculate the phone's location to within a few meters, and get information about the owner SIM card is in the phone at this moment. If you applied in the day of the loss cell phone and pointed it at the same IMEI, the police will surely be able to find it. If you do not know the IMEI of the phone, or strongly "pulled" with the submission of the application, the chances of finding the phone fall to virtually zero. In no case do not throw away the documents that came in the kit together with your cellular phone. They contain an IMEI number, which you will need if the phone is stolen. With the help of special programs IMEI can be changed, so with the loss of phone it is important to act quickly. The desire to possess high-quality, multifunctional and beautiful mobile phone is, unfortunately, not always and not at all coincide with the possibilities. Someone still decides to buy on credit, someone refuses from owning a modern cell phone, and someone decides to buy a used phone that used. 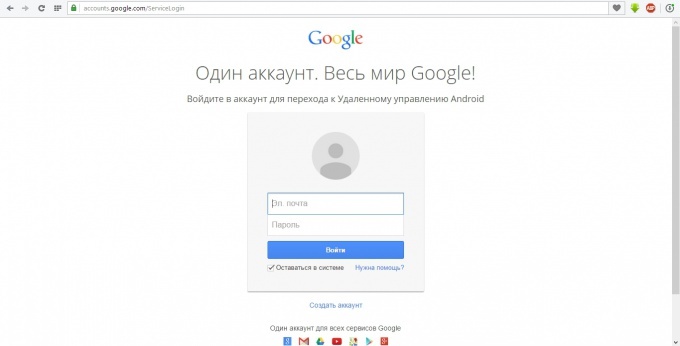 But where is the guarantee that such device is not stolen and not listed in search? Never buy a phone second-hand, if the seller cannot provide you the papers for it. When buying a used cell sure you ask the consultant a written confirmation of the transfer of the phone store, its former owner. Unfortunately, not every seller will be resolved to produce such documents, because they can be specified the price he paid for the purchase of this device. Yes, and the document is easy to forge. To protect yourself from buying the phone, listed on the wanted list, find out the international Mobile Equipment identity (IMEI). Usually is 15 digits, located directly on the back of the phone (under the battery). If you can not find this number on the unit, dial the digits *#06#. Phones all manufacturers usually issued in response to its own identification number. Fix it on paper (write carefully), and then at the first opportunity try to access the Internet. Visit the website blacklist.onliner.by in the opened window, enter the phone's IMEI. Then click on "check". This database contains phone numbers that are listed in the search. Accordingly, if you see the message that database not found any IMEI-number corresponding to the search means, the phone does not have a criminal record. However, in this database listed all numbers of stolen phones, so if the number you entered is not found, it does not mean that your phone no one is looking. In addition, the number of the purchased phone can appear in the database much later than you buy it. There is also another way of checking is not listed if used phone wanted. Send a paid message (it costs 5 rubles) to the number 4443. In the message write: "the interior space and your IMEI code". In the response message will contain information about wanted your phone or not. Sometimes it is better to abandon the "fancy", but used the phone and prefer to let a cheap but brand new and "clean" before the law tube. If you lose the phone often it happens that the finder of his people just throw the SIM card and uses your mobile, oblivious to the fact that it can be found without it. The same happens in case of theft. - documents confirming the ownership of the phone you. If you lost your phone and SIM card is not available, contact the nearest police station and write a statement of the appropriate form, fill it out with details of your phone, you need to identify it. Please note, you will need to provide documents that prove your legal purchase of this device. If the phone was purchased outside the country of your registration, you will need to provide the documents of customs control. To see a complete list of documents for application you can at the nearest branch of police. 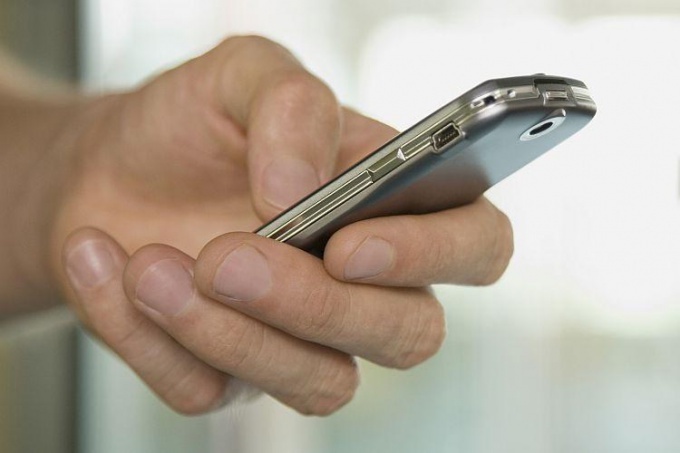 To find your phone, you need its identifier, so provide the necessary data to search. The IMEI is a unique pyatnadcatiletnij code assigned to each mobile phone. When registering in the network of your mobile device service provider sends a message, which indicates the IMEI of the phone. This is done in order to ensure security, making in this case stealing a phone pointless, since its main functions will be impossible to use without registration identifier of the operator of cellular communication. Review the documentation for your phone and find the IMEI-number. Usually it is prescribed in the warranty card on the box of the phone or the user guide. In Nokia warranty card usually is on the last pages of the manual and the IMEI number is written on special stickers. You have the ID information is the most important prerequisite for finding a lost or stolen mobile phone, so the documents and wrappings should be retained even after the warranty period. Be careful with the documentation your phone, keep it for the entire period of use of the mobile device. Use the special service identifier registration phone. 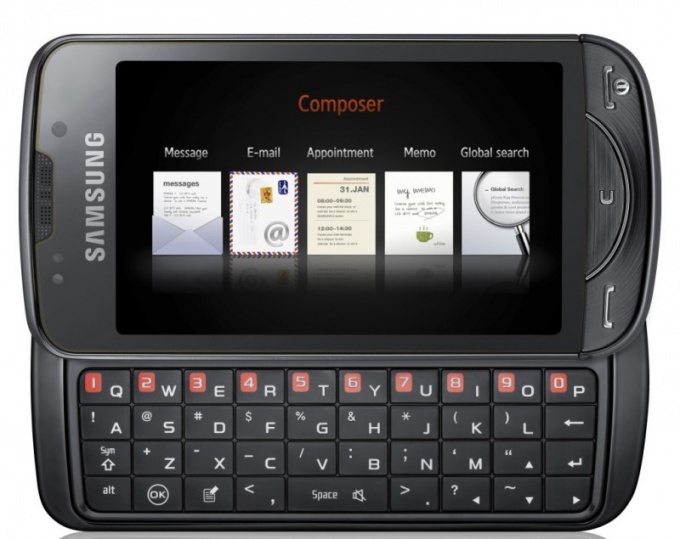 Buying and selling used mobile phones is a widely developed business. While sold not only produced an honest way devices, but also stolen goods. In such a situation, the ability to distinguish stolen phones insures the buyer against wasted money and potential problems. First check that comes with the mobile phone. If there is not an original device, it is an occasion guard. Of course, there is a possibility that the phone was just found somewhere or the components are still lost, but this is unlikely. Besides, there are other ways to ensure that the proposed apparatus has left from the owner illegally. Each phone has its own unique identification number IMEI, which the manufacturers are entered in the software of the mobile phone. 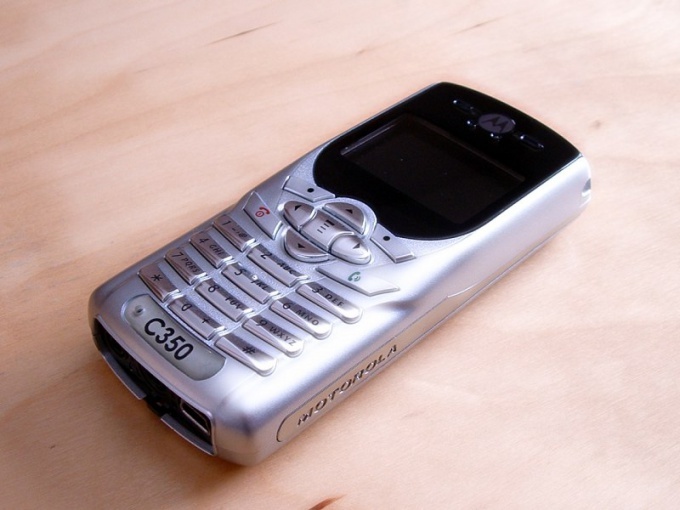 It consists of 15 digits (for models Sony Ericsson - 17). You can find it on a box under the bar code on the sticker under the battery of the phone. Compare the number on the device number on the box. If they do not match, then it is likely that the product still is not legally acquired. In a case where on the body the phone number is missing, send from your phone dialing *#06# and the screen to receive the IMEI of your mobile phone. To send such a request is possible even without inserting a SIM card. To check whether the phone is stolen, you can at special sites, where base is lost or stolen IMEI number. Enter the unique identification number of your phone in the available window and click "Verify". If the screen says "our database does not contain any IMEI-numbers satisfying the search conditions" means the phone was not stolen. Otherwise to receive information about what date was the theft occurred and where. To find out whether the stolen phone you hold in your hands, you can not surf the Internet. Use the service "Mobile search", the site "GSM-inform". Send a message to the number 4443: MIA blank IMEI. After some time, will come SMS with the information about listed telephone number in the database of the Ministry of internal Affairs or not. The cost of such services will depend on the tariff plan of your operator (about 5 rubles). Upon receipt of information that a mobile phone was stolen, or at least the slightest suspicion of it, don't buy it. Otherwise, you can calculate law enforcement, and you have to return the device to its rightful owner. And the money spent for it, you are unlikely to return. Mobile phone has long ceased to be a luxury. Modern people just can't imagine my life without this means of communication. But, what if the phone lost in the apartment, and the battery on it unfortunately ran out of battery? Try to accomplish "control" the call from another phoneand lost. Always remains a small hope that at least 1% of battery power still available. If this is, alas, not so, proceed to the other search methods. Remember, where and with whom you last talked on the phone. If you have any "favorite" place to talk, is already good, try to search there. If you have a habit of walking with a phoneohms throughout the apartment, talking and making on-the-go something else will have to look in the most unexpected places, like on the fridge or inside it, as well as on the shelf in the bathroom, on the balcony, in the washing machine, etc. by the Way, in the washing machine it can be even in case if you forgot to take it out of the pocket of trousers or other clothes before washing. Make a search plan. Methodically and thoroughly explore one room after another, and, while not one hundred percent sure that it is not in this room, go to the next. Check the pockets of your home and the output of clothing: coats, jackets, raincoats, jackets, etc. Explore the existing shelves, desks and drawers of the cabinets. Carefully inspect the sofa or chair where you watch TV, examine the area of flooring beneath them. Remove the covers from upholstered furniture, sometimes the phones fall under them. Do a search not only in the zone of visibility, ie at eye level, but where he could reach your hand on the top shelves of cabinets, on the surface of the dresser, etc. Sometimes it happens so that the phone lies quietly to yourself in your purse and you somehow think that it is not there. Open all its branches, examine everything carefully. If you have small children, ask them if they've seen your phone. Perhaps he has become a funny toy for kids. View the nursery for yourself. Some Pets, especially dogs, tend to pick up what is bad. So if you know your pet is a taste, not be amiss to look under the dog Mat or other hiding place. Well, at the very least use a metal detector (if there is one), although in modern apartments in a lot of different metal and this method is not the most convenient. Make it a habit to put your cell phone always in the same place in the apartment. Try meticulously to perform. Do not wait until the full discharge of the battery of the mobile device. Charge it while the phone is still able to function. Usually the caller ID is not particularly difficult, but more difficult will be find mobile for free legally. However, there are ways that will help to find the device and the subscriber number without the strike for your wallet. Sign up in several social networking sites to find out the number of the desired subscriber. These sites are one of the most effective ways to locate a mobile phone for free and fairly quickly. Some users enter their phone number in contact data and if you use the search in the social network and will be redirected to the correct person, it is possible that there will be at and his cell phone. In addition, you will be able to learn other details about the person. Use one of the systems with which you'll be able to find a mobile phone for free and without registration. The search in this case is at. Select left desired city, enter street and house number (if known), and then check the results. 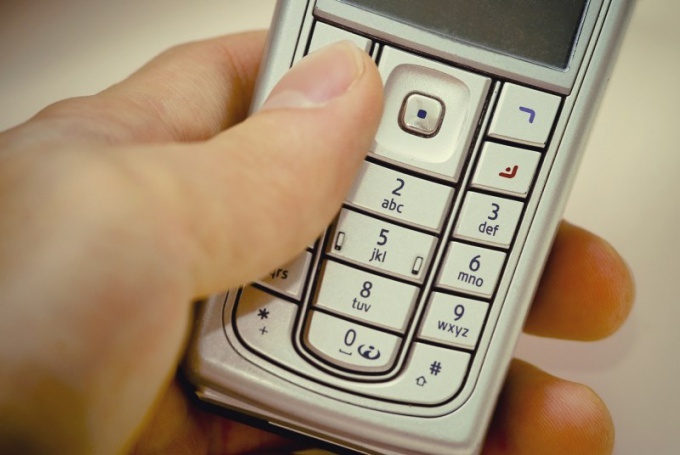 If you need to find a number, and the mobile phone itself for free, you can use satellite communications or special services from mobile operators. Often there are situations when the device is lost or stolen. Also, parents there is often a need to know number of where their child is. To help yourself and your loved ones, pre install on the phone a special program which allows you to track it via satellite from another device. This can be done through portals with updates for your mobile platform or on one of the sites. Install software for remote surveillance and check it for performance. The program should specify the current location of the phone on the map, the accuracy of this depends on various conditions. Remember that installing such software on someone else's phone without the owner's permission is forbidden and illegal. 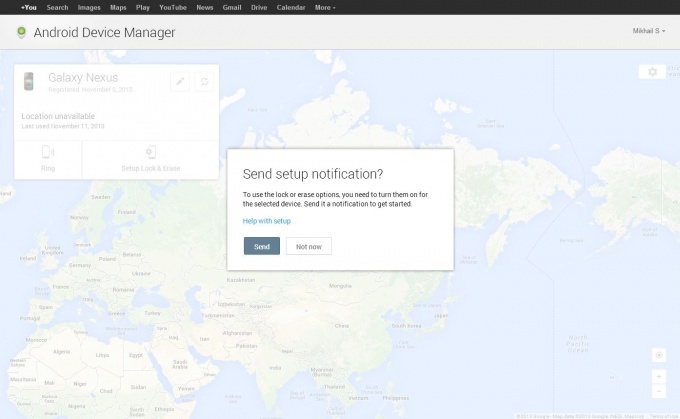 If your Android phone is lost or stolen, it can be found (to block or delete all data) using the service from Google - Android Device Manager. On this page you can see brief information about phone (or tablet), namely registration date and the date when last opredelilas location. Then we can get the phone to ring at maximum volume (useful if the phone is lost somewhere in the apartment). To configure the blocking and deletion of data, click on the "Setup Lock & Erase". The system prompts you to send the settings to the phone, and we do. On the phone you get this kind of picture, we just need to confirm activation remote control. Click "Activate"
Put a check mark on all points. 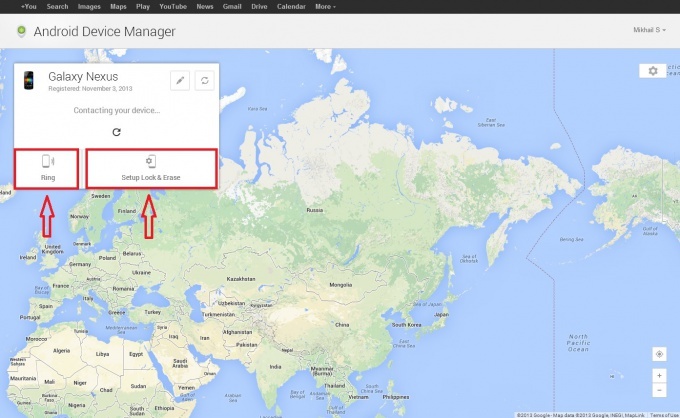 Go back to the Android device manager and see that now we can zablokirovat the device or delete all data. As well as its location. Better to attend to security of their data before the phone is stolen or you lose it. According to the latest polls users don't so much regret the loss of the machine, but about the data themselves. and especially we don't want to fall into the wrong hands. Suddenly left without means of communication, you can try to find your lost mobile phone. This does not necessarily immediately go to the police or place ads about the disappearance. Try to use technical and software functionality of mobile devices. Think about where you could lose a cell phone. You probably left it at work, in public transport, shops, gym etc In the first place is to check out these dream personally or to call the property to find out you have not transferred if anyone found a cell phone. If the device was found, negotiate with the administration, and place in these places ads with a request to return a found phone for a fee. The same you can do in social media and ad sites. Currently, information is disseminated very quickly and it is quite possible that soon you will pass the lost phone. To find lost mobile phone, just try to call him or send a text message. Maybe you'll get lucky and the phone will find a decent man, who can expect a call of the owner. In this case, you will be able to know where the phone, and then pick it up. Use software phone designed just for such cases. For example, if you installed one of the programs for the remote tracking device, you can try to find lost mobile phone through it from another phone or your computer. Its approximate location is shown on the map. Please contact your nearest office of cellular communication and inform about the lost phone. At your request they can provide a printout of the last calls made from your number and also to identify the location of mobile phone. However, the help support staff have not always, and may require permission from the police. Write a statement about loss or stolen phone to the police. It is extremely important to indicate in the application the IMEI personal identifier of your mobile device, consisting of 15 digits. If he is unknown to you, try to find out the right information from the manual to the phone or inquire at the store where it was purchased. Using IMEI police can track a device, even if it is off, and the current owner has already replaced the SIM card. In addition, you will get full support from your mobile operator. 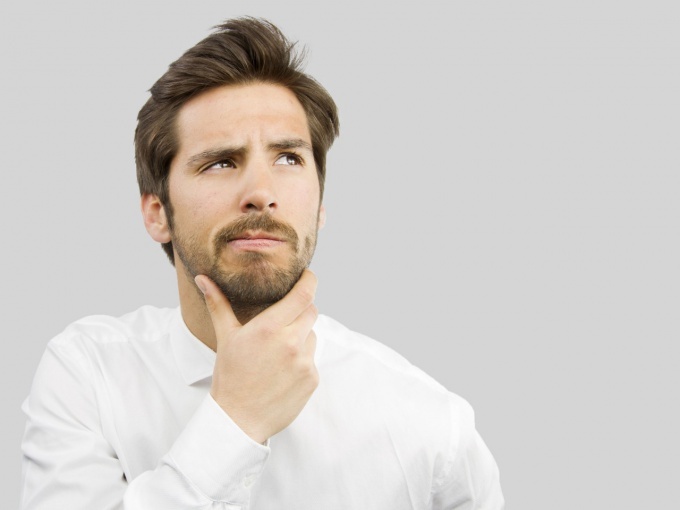 Advice 14 : Is it possible to return the stolen phone? Some people try to help strangers, and some can steal someone else's property. That is why every person needs to closely monitor their belongings, especially in crowded place. But what to do if a theft has already occurred? Often missing mobile phones, as they are compact and quite expensive. 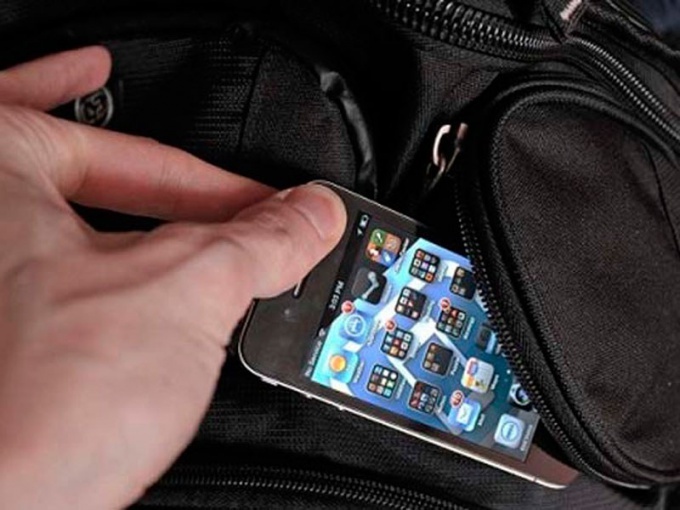 To prevent cell phone theft, follow a few rules. Do not buy too expensive, and fashionable model, as it will immediately begin to attract universal attention. Do not remove the phone in rush hours, when a large crowd of people and night if you are on the almost deserted street. In the dark on the street it is better to turn off the sound on the phone, otherwise there is a risk not only with technology but also with health. In public transport, in shops and banks of swindlers, as a rule, very much. Being in such places, be especially careful. Put your phone in the internal pocket bags or clothes so that you could always feel his hand. In bars, cafes and restaurants never put the phone on a table or the bar, otherwise after a few minutes you will not find. If you keep track of your mobile device still failed, you need to immediately take measures in order to return it. Of course, if the mobile phone is broke you neck, and you are confident in your physical strength, you can try to catch the robber. In other cases, it is necessary to contact the police. Write the application in militia. To apply to be not at the place of residence and place of theft. Specify in a statement that the phone was stolen, do not write that he is missing under unknown circumstances, otherwise criminal case no initiate will not. When you apply, you will require the receipts for mobile devices. Very well, if after purchase you have saved all relevant documents, receipts and warranty card. Without such documents you will not prove that the stolen thing belonged to you. If the phone is on, the police will be able to find it pretty quickly. For this you will need to provide them with the IMEI code of your phone. This piece of code, the police will be able to track the movement of the stolen device in the GSM space. Provide the IMEI code and all the copies of the documents on the telephone to your service provider. If necessary, the operator can lock the phone. Most importantly, do not pull the time finding phone. Submitting a statement to the police, try to find your mobile ads online. The network often put ads on the sale of stolen devices. Unfortunately, quite often, stolen phones, and the police find smartphones rarely. And besides, there are cases when you need to find a lost phone, not stolen. And remember its last location is difficult. Find a lost phone is possible without a variety of programs such as "anti-theft" using only one of the Internet. This method will help you to find the location of a lost phone with an accuracy radius of about 1.5 km on the smartphone included GPRS or Wi-Fi, the accuracy of the location increases. But if the phone is dead or the thief turned it off, with the help of this method, you will learn the latest finding of a smartphone in an active state. 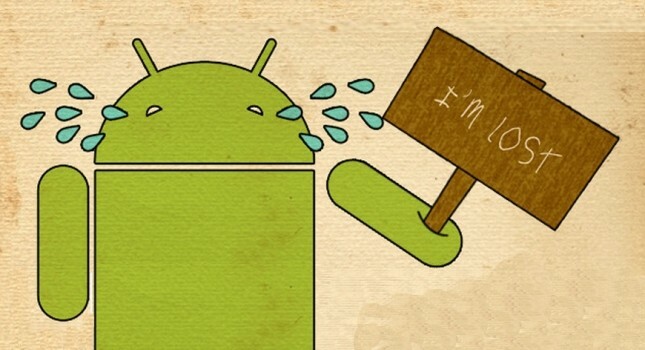 To find your lost phone, follow the link https://www.google.com/android/devicemanager?hl=ru&u=0 and enter the same email and password which were entered on Your smartphone. 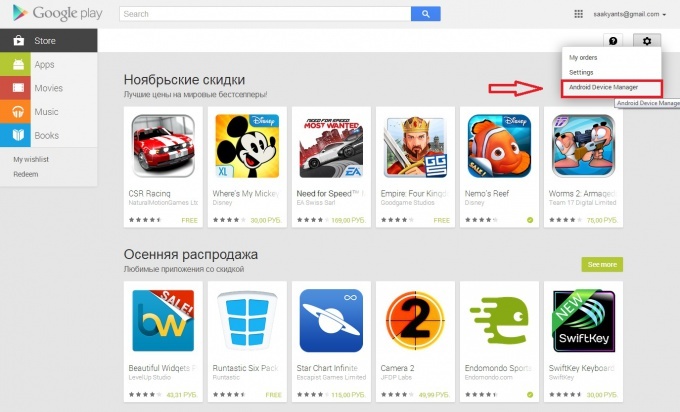 Immediately after the entrance You enter to the page "Remote control Android". Some time to search for a mobile phone. As a result, the program will show where the phone circle. This circle is the radius of the location of the phone. After all, up to 1 m is almost impossible to obtain information about the whereabouts of the phone. In the upper left corner shows information about the date and time of the received data, and precision and possible errors. Besides, the remote control will allow you to find out when was performed the last time the log on to the Internet on the smartphone. In addition to finding a lost phone, "Remote control Android" has a small number of additional and useful features. For example, you can make phone calls. Clicking on this button, a lost phone will be on for 5 minutes to call with maximum volume. The call will work even when the phone is on silent mode. And you can turn it off is with power button. You can also put a password on your phone via the Internet, but the attacker it is easy to solve or work around. You can also clear all data on the phone with a single key, but it only removes the information from the phone memory. On the card information stays. Leave or GPRS or Wi-Fi and then in case of loss of phone accuracy of its location. Off to find a phone at home can be extremely difficult because it is impossible to call or send a message. Of course, sooner or later it will be found, however, if time does not wait, try one of several effective methods of search. Try to concentrate and remember where you saw the phone at home last time, which made him action. For example, if you lost it before leaving the apartment for, examine the room where you are going, look into the bathroom and the kitchen. Think, have you lost any of your stuff before, and if so, where they were found. Maybe it fell behind the dresser or under the table or lies on the surface of the same color (for example, on a carpet), which becomes invisible. Very often, the phones disappear," accidentally caught between the cushions, back and seat of the chair or sofa. Women should visit the cosmetic bag (makeup and I accidentally put the phone back with the makeup products and tools). Smokers, people sometimes lose their phone, going to smoke on the stairwell, so if you belong to one, check out this version. Examine the pockets of your clothes to quickly find off phone at home. If you was going somewhere, then it could automatically put it in a jacket or pants. Better to empty all pockets, if they are filled with large number of objects, as the phone may get lost among them. Do the same with your bag, as it could put the device in it. If the house has any people besides you, be sure to ask them if they've seen your phone. Often he becomes the toy of children, or take him urgently to call relatives. Check also the place where sleeping your pet, e.g. cat or dog. They could get right on the phone. If you frequently move data from phone to computer and Vice versa, check out the workplace. (this happens when device warns about low battery), and then you will understand where he is. On some phones even when switched off can be previously established signals of the alarms and audio reminders from the diary and calendar. More recently, humanity could easily do without mobile phones today, to live without communication is simply impossible. Mobile phone is now not only a means of communication but also a repository of information — phone numbers, important dates, notes, photos. Losing the phone means losing the whole array of data. Of course, you can buy a new mobile phone, but then have to recover the lost information, so you should try to find your phone even if it is turned off or the battery is low. If you lose your phone in the room, to find it will fail in 99% of cases. For this you need to remember where and when it was last used and return to that place. Most likely, the search off your mobile phone suddenly turn into a General cleaning, which is found not only mobile but also lost many other previously useful things. Remember whether you set the phone alarm clock, and does his signal off the phone. If you have children and animals, in order to find the phone off should not exclude even the most unexpected places: the trash, the shoes in the hallway, a food bowl etc. Be patient and explore all the hard to reach places with a long stick. In the most severe cases to help find a turned off phone can a metal detector. How to find a turned off phone "Android"
If a cell phone based on "Android", then search for it you can use the original service Android Device Manager provided by Google. To do this, go to the website in a special window, choose the model of your device. If the phone is already used by someone else, and this time included data transmission over the Internet, the service will provide his location. Lost or stolen phone can be found on the original number (IMEI), which is usually stamped on the device under the battery. This is a special identification number which consists of 15 digits. If you cannot find this combination of digits, you can find it by dialing *#06#. This method is used when contacting the police with a statement about the theft or loss of mobile phone. Law enforcement officers speak directly to the operators to request the location of the device, and then accurately determine the new owner and his address. It is worth noting that this method should be used if there is no certainty that the phone is not home, as after the detection of the mobile phone in the applicant's home, you can get a substantial fine. Search off mobile phone can simplify the hanging keychain in advance, to respond to whistle or clap their hands. Order your special firm print your photo on the back cover of the device. If the phone falls to the thieves, it is unlikely that they will be able to resell it, and, most likely, will try to return to the owner, even for a fee. Do not be lazy to go to lost and found. The world is not without kind people, and maybe that's where you'll find a turned off phone. Also worth a flick through a local newspaper advertisement on the findings of various things. Protect yourself in advance, investing under the cover of the phone near the battery a note about what you are, for example, a police officer and this mobile phone contains a lot of important information. It is unlikely, after reading this, thieves will want to implement the device. Not to get into a situation where need to look for a phone, better to carry out the necessary actions to alleviate the problem in the future. Mobile phone is indispensable today, because thanks to her family, friends, work colleagues, bosses, we have the following we need the relationship, which has already become familiar and immutable. 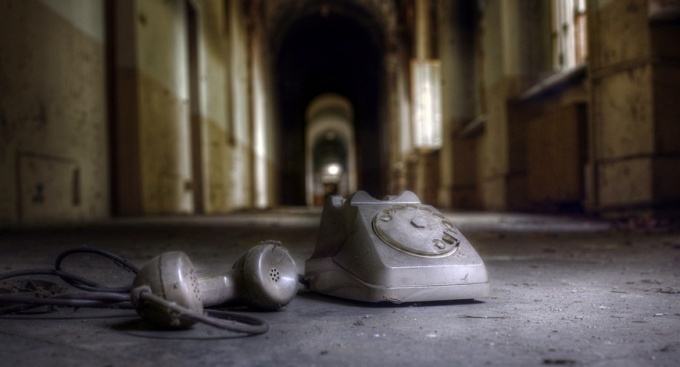 If the phone is silent for a long time, it becomes uncomfortable, and we at inertia are looking for him, remember where he might have put where you could forget, leave or lose it. If the phone does not emit signals for a long period of time, if we, having lost our legs in search find that phone disappeared, the first thought that comes to mind is the horror, how will we live without their phone? Loss or theft of the phone is a really serious problem. We are lost and nervous, and imagine all sorts of difficulties in the future due to the lack of basic communication. However, if trouble has happened with us, need a cool head to figure out how to go with smaller losses from this situation. After all, with all its importance and the need for a phone is just a material thing, not a living creature we have lost, perhaps, forever. How to find a lost phone, if we have already found that connection with the world missing? First, stop panicking, because many start with this. It's human nature. 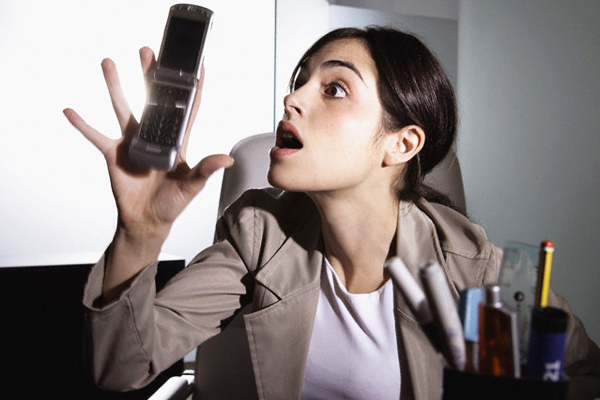 Panic, hysteria and tears will not help you to find your lost phone. It is best to gather your thoughts and start to act immediately. Secondly, having found loss, you need to strain your memory and the memory in such moments, as a rule, puts us on a platter all incremental events happened to us in the last, say, few hours. And remember: where, when, with whom and under what circumstances we were in, have you used a telephone, or who has your phone to forget. Restoring in memory the course of events, you will not just calm the soul, but also will have a chance to find your lost phone. The loss of the phone, whether expensive model, which is simply humanly it is a pity or a simple model, what you were about to upgrade, is associated directly with the SIM card, with memory, with the information that was contained in your phone. How to find a lost phone, if you value, say, not the model itself, and the content – contacts, photos, videos? Worth a try to call from another phone to your phone or send SMS message. Well, if there is a connection and you replied. Offer a reward for the person who finds your phone and explain the situation. It is likely that the phone found a decent man, willing to give you it. Worse, if there is no connection. Chances to find your lost phone with this outcome becomes less, because the phone could easily take the battery. In this case, you will have to strain and go through all the places in which you stayed where you were. That is, to run without delay, where, perhaps, the loss will be found. If you discover the phone has failed, you can contact the lost and found. Today, there are many accessories in the form of various charms which crepes the phone, respond to a certain signal. The signal may be a whistle, voice, cotton or any other sort of sound. Such additional anti-theft and modern pieces of excellent help to detect the loss in the first moments. If attempts to find the phone yourself have not yielded results, but at the same time you care about either as valuable or as important infortunately, you should contact the police. They have their ways of finding. Of course, this is unlikely to happen soon as such statements are too much. If you have exhausted all of my techniques for finding and did not know how to find a lost phone, lock the SIM card that was in your phone and make a duplicate so you have kept your same phone number. There are a few tricky ways to find phone if lost and it is off the satellite for free. Special services to search for the device are available on the Internet. They also offer the largest Russian mobile operators and government organizations. Before you attempt to find phone if lost and it is off the satellite for free, you need to know how exactly is the process of finding devices. This is usually applied to satellite and cellular technology. To track the cell phone GSM signal coming from the nearest mobile tower. Most of the technologies used by intelligence agencies and private companies, is based on this method. Therefore, to calculate only the approximate coordinates of the mobile phone depending on how strong in the area of the GSM signal. 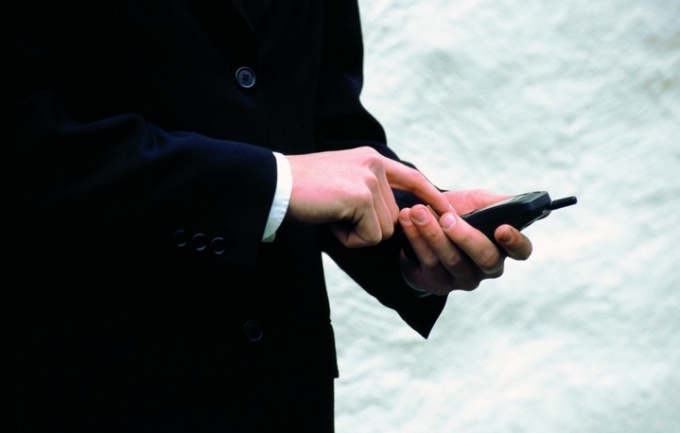 Separate the complexity of mobile phone search is that it is in the off state. Try to find it for free in this situation can only be in two ways. If you know the IMEI number of the missing phone, you can inform law enforcement or the cellular company which subscriber you are. As soon as someone starts to use the device, sooner or later information about him to "light up" on the Internet, or the phone will detect the services that you have requested. Much easier to find a lost phone if it is enabled. If you do not wish to apply for this to the police or office of the cellular company or data service could not help solve the problem, you can turn directly to a mobile operator. The search will be carried out not for free but for a small nominal fee. It should be noted that all operators require that a subscriber that someone is trying to find, confirmed the transaction with your consent. 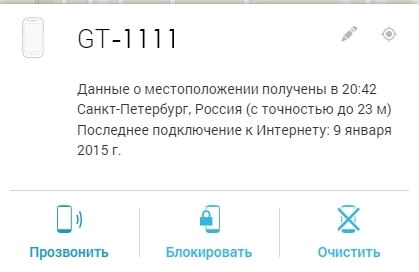 This can be avoided if you try to use the service, not by commands, but by dialing the service operator (0890 – MTS 0500 – 0611 and MegaFon – Beeline). Tell the operator that you want to find a phone, but it is off and could have undesirable person. Once you verify your personal data, the connection will be aborted. If employees of the contact centre will be able to detect mobile device using my methods, they'll call and report it. You can place an ad about the loss of mobile phone on social networks and on specialized sites, where users can provide the necessary assistance. Be careful, avoid suspicious websites and scams the Internet, which can offer to find a phone by satellite for free or for a certain amount. Thus they can gain illegal access to your mobile or Bank account.